Home LISTEN! SWTOR Escape Pod Cast 57 – Healers Trying DPS! SWTOR Escape Pod Cast 57 – Healers Trying DPS! This week @AIESema, @MaxTheGrey and Astromech EPC-57 talk about the differences in spec, rotation and gear involved in switching or dual spec from Healer to DPS. Sema is a main healer for our operations team but would like to offer DPS skills for when they might be needed on occasion. This drilldown covers most of what we think is important when setting up to have a DPS off-spec and gear set. We also cover news for the week from SWTOR in general and from our guild, Alea Iacta Est. SWTOR Escape Pod Cast 56 – Legacy of the Rakata! SWTOR Escape Pod Cast 58 – Emergency DPS, Heal, Tank! 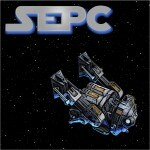 SWTOR Escape Pod Cast 180: New Operation! Hey thought this was going to be a podcast trying to help healers when there are times where you have to dps. Just a quick tip for mercs/mandos if you pop super charged gas, you get free power shot/charged bolts + unload/full auto. I often times use this as a healer when everyone is full as a great way to regen heat/ammo. Plus the alacrity buff you get from popping it, allows you to put out some impressive dps in a short time. Many times better than a tank. Hope this helps you merc/mando healers out there. That is a good addition to this topic. Maybe we can do a follow-up. I know Sema drops some DPS while main healing operations from time to time and there are some progression fights where that extra DPS can be critical. Thanks for the tip!